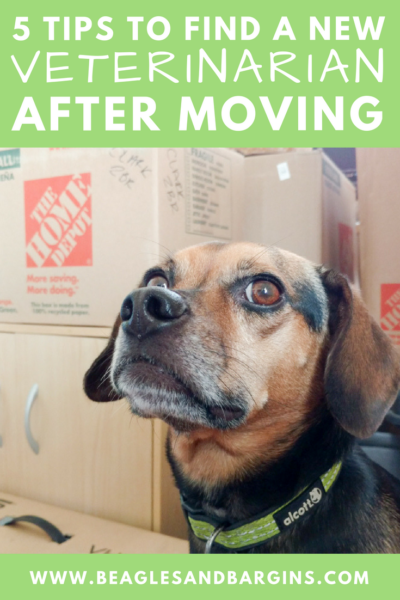 Moving can be stressful for a great many reasons. If you have the pets, the number of possible stressors drastically shoots through the roof including worries to keep them safe. If you can move without being stressed, I definitely want to know your secrets! Aside from the actual process of getting rid of stuff you probably shouldn’t even have, then putting the things you keep into boxes and sending them off to your new home, there’s a lot you have to do when you do finally arrive. For me, it felt like an endless list – changing addresses in my 6 billion or so online accounts, figuring out where the nearest everything is, finding new insurance and doctors, and of course picking a new reliable veterinarian for the dogs. 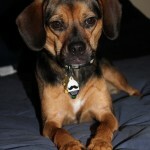 I am a BlogPaws® Conference Sponsored Blogger on behalf of the American Animal Hospital Association®. I am being compensated to help share information about the American Animal Hospital Association (AAHA) with my readers and fellow influencers, but Beagles & Bargains only shares information we feel is relevant to our readers. Neither AAHA or BlogPaws are responsible for the content of this article. It’s hard to believe that it’s already been nine months since we packed up everything and moved across the country from Virginia to Colorado! Naturally, I didn’t start looking for a new veterinarian until the pups were due for their annual checkups. I don’t recommend that strategy because emergencies can happen, but I get it. Deadlines can be super motivating. 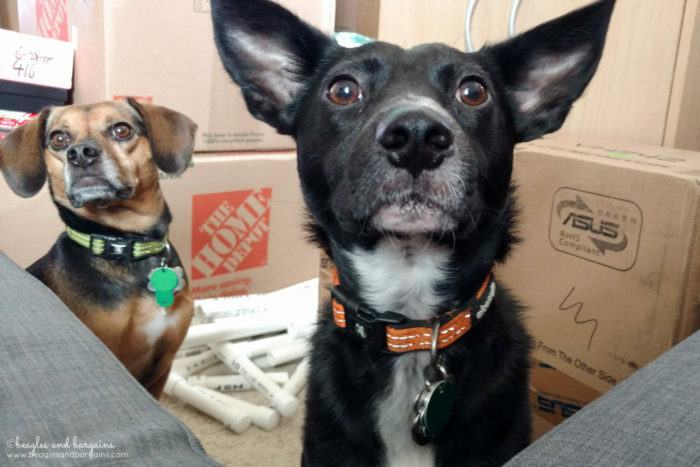 We waited about two months after arriving to allow us to get settled in before picking out a new veterinarian. Luckily, I had a few great options nearby for Ralph & Luna’s new vet hospital. To narrow down the possibilities, I used a few different strategies. Read more on those below! The American Animal Hospital Association® (AAHA) is the only organization to accredit companion animal veterinary hospitals in the US and Canada. They evaluate the hospitals in over 900 standards across 18 categories including cleanliness, emergency services, surgery, and more. The AAHA Standards of Accreditation are evaluated every three years and help ensure that accredited veterinary hospitals meet standards in safety and quality of care. Personally, I will always pick a hospital that prides itself on meeting or exceeding the standards set in place by AAHA. You can read even more on why I chose an AAHA accredited veterinary hospital here. But not all vet hospitals are accredited. Only about 15% of animal hospitals across the US and Canada are actually accredited because unlike human hospitals, not all animal hospitals are required to be so! That means nearly 60% of pet parents think their pet’s veterinary hospital is accredited when it’s not. Truly shocking! When starting your search, I recommend visiting AAHA’s accredited hospital locator to see what accredited hospitals are near your new home. 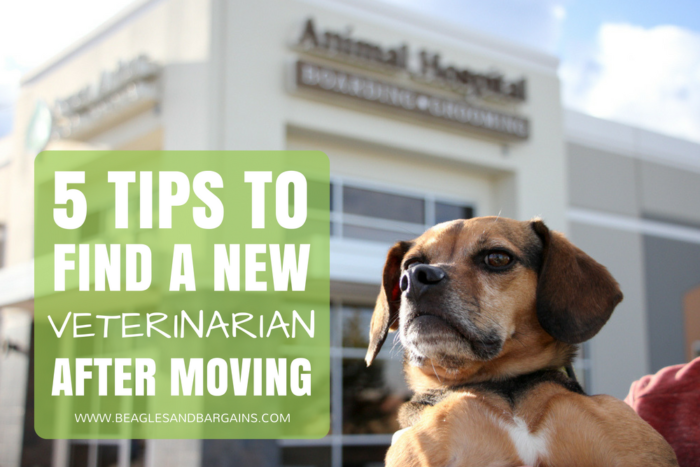 This will help you get your bearings and a starting point to finding your pet’s next veterinarian. 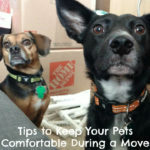 Depending on where you are moving to, there might only 1 or 2 results up to 20 or more. Not moving, but still wondering if your pet’s veterinary hospital is AAHA accredited? You also can check using their accredited hospital locator! Online reviews are great resources for so many things from restaurants to, you guessed it, veterinarian offices. When reading reviews, keep in mind that generally they will tend to be skewed to extremes – really good or really bad. Use it to look for any major red flags like uncleanliness, mistreatment, or even more devastating situations. Don’t expect to find any place that absolutely perfect because we as people love to complain. Use the number of reviews to judge the impact of the words. If you see a common trend with 500+ reviews, then it might be the truth, but if it only pops up once with less than 20 reviews, it could just be a one off scenario. Some great places to look for reviews include Google, Yelp, Better Business Bureau, Angie’s List, and more. Online reviews are excellent places to start, but I find even more value in actually talking to people directly and being able to ask specific questions about their or my situation. I started by reaching out to a few friends who lived locally and then asking publicly for recommendations in my apartment complex’s online forum. I’ve found that pet lovers LOVE to help each other out when they can especially if they have had a good experience they can share. Another idea is attending a pet related meetup or going to a nearby dog park and asking the pet parents there for their experience and recommendations. Don’t be afraid to ask follow up questions either if you need help picking out a new veterinarian. Sometimes the best way to get a feel for a place or business is to actually visit it! Before picking our final choice, we drove by the office to see how it actually looked. Did the building look clean and well maintained from the outside? Was it busy? Was it easy to get to from where we lived? Does the contact and hours information on the door match the website? And of course, are they displaying the AAHA accreditation sign? If you call ahead, the veterinary office may even provide you a mini tour or walk through in hopes that your pets will become clients. You could also try walking in if they don’t look too busy. Even seeing the waiting area and watching how the front desk interacts with existing customers can be very telling! Can you believe I actually FORGOT to do this? And then of course it turned out that the veterinary hospital we picked ended up offering a 20% off your first visit coupon for new customers. Ugh! So learn from my mistakes and check around for discounts before going to your first visit, especially if you have multiple pets. I recommend checking for coupons in your mail including local flyers (ours was in a local magazine), on the office’s website, and even by directly asking them when you call to schedule your appointment. In my experience, it never hurts to ask! The American Animal Hospital Association® (AAHA) is the only organization that issues accreditations for companion animal hospitals in the US and Canada. Not all animal hospitals are required to be accredited (only 15% are), so those that chose to go through AAHA’s evaluation process are going above and beyond to prove they meet standards in safety and care. 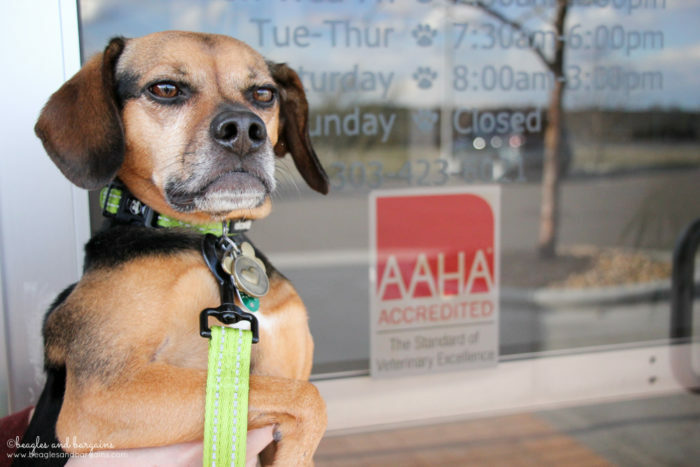 If you’d like to learn more about the AAHA Standards of Accreditation, you can download AAHA’s “I am a Champion for Excellent Care” PDF, here. Each AAHA accredited veterinary hospital must offer emergency services or provide a clear referral to an appropriate emergency practice that is open 24/7. These hospitals much also maintain clean and contamination free suites for surgery. 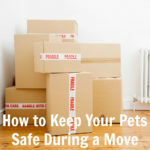 AAHA puts about pet safety first! In addition to setting the standards of veterinary care, AAHA also collaborates with industry experts to develop guidelines and best practices for veterinary teams. These are available to all veterinary hospitals. Although following the guidelines is not mandatory, they can help veterinary care professionals and pet parents communicate to each other more succinctly. You can find an example of these guidelines here. Read even more on AAHA in our post “Why I Chose an AAHA Accredited Veterinary Hospital for My Dogs“. I’m so thankful to AAHA for sponsoring my trip to BlogPaws this year. With our move last summer, money has been a bit tight and I wasn’t sure if I was going to make it to the annual pet blogging conference. Thanks to them, we did and had a blast visiting with brands and our blogging friends. 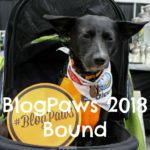 This was my 6th conference personally and the 10th BlogPaws Conference in general. THANK YOU AAHA! Want to learn more about AAHA? Follow AAHA on Facebook and Twitter. 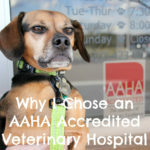 Visit the AAHA website to find an accredited veterinary hospital! How did you find your pet’s current veterinarian? Did I miss any tips? Share them below! Did you find this post useful? Help spread the word about finding an AAHA accredited veterinary hospital by pinning the image below.